A big Thank You to Geraldine Conway who raised €3,835 for NCBI this year. In September, Geraldine embarked on the NCBI Camino Way raising €1,900. 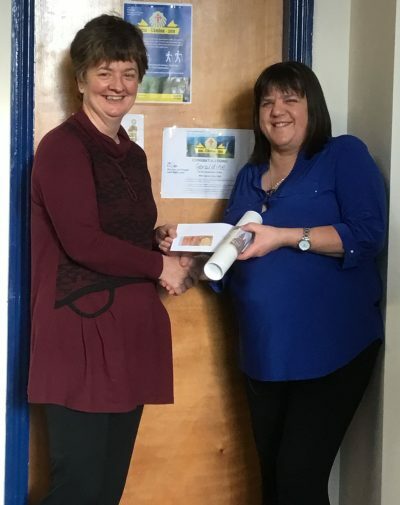 On top of this, Geraldine raised a further €1,935 for NCBI Limerick Services – today Colette Quinlivan of NCBI met with Geraldine to receive her generous donation. Below, there are images of Colette and Geraldine today, some images from Geraldine’s Fundraising Sale and from the Camino Way. Thank you and we hope Geraldine will be flying the Camino flag with us again next year!